​What does our third president, an Academic Dean, the “Oracle of Omaha”, one of Forbes’ “World’s 100 Most Powerful Women”, a Grammy Award winning vocalist, a glass sculptor, the first women to run the Boston Marathon, and a National Baseball Hall of Fame inductee﻿ all have in common? -- The﻿y﻿ all﻿ had ﻿mentors﻿. In Volume II - These contemporary mentoring stories illustrate the diverse and familiar roles mentors may appear. The elegant wisdom of “it only takes one” is magnified in each contributor’s own words and personal story. ​Volume I - illuminates mentoring with historical examples. These vivid stories recount hopeful perseverance, invigorating collaboration, and the generous sharing of wisdom. MENTOR COLLECTION: Inspired by people who love to learn and share inspiring mentoring stories. 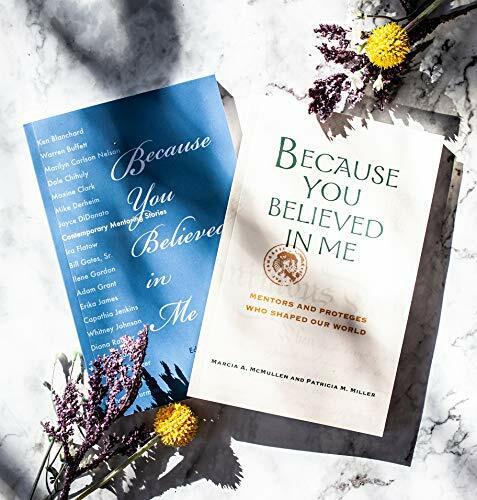 We want to encourage the classic tradition of mentoring minds through mentor books, guides and mentor note cards that empower us to build connections and foster gratitude for the person that motivated you and shaped your thinking.